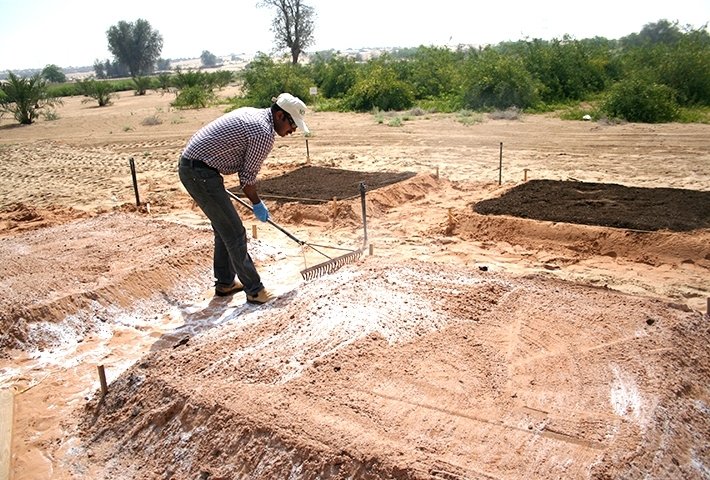 The soils of the GCC countries are sandy and coarse textured, have very low water and nutrient-holding capacity leading to high leaching, loss of nutrients and groundwater pollution. Mitigation of these losses is urgently required through innovative new technologies especially water-saving and increasing water use efficiency and controlling leaching losses of water and nutrients. Any technology that enhances water and nutrient use efficiency and increases biomass production should be taken as priority research in irrigated agriculture. 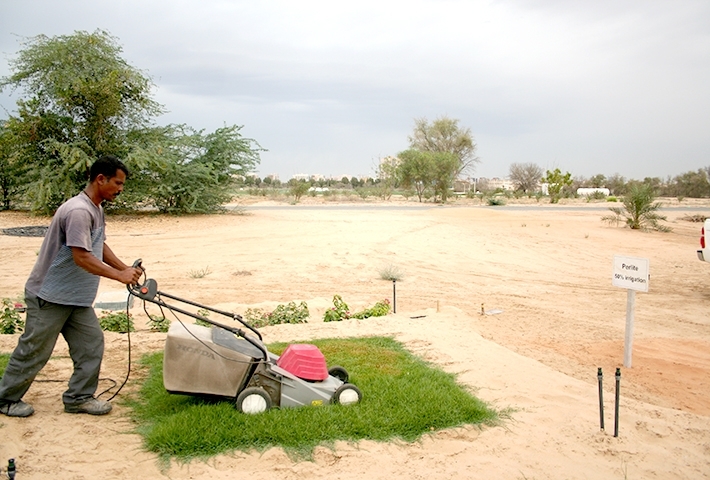 In the past, a number of soil amendments have been used, e.g. Zeolite, Bentonite, Sodium lignosulfonate products, Palagonite, and Perlite to improve soils, water saving and to boost biomass production. It is important to note that the time required to drain sandy soil from flooded to field capacity is three-four times quicker when compared to a clay based soil. 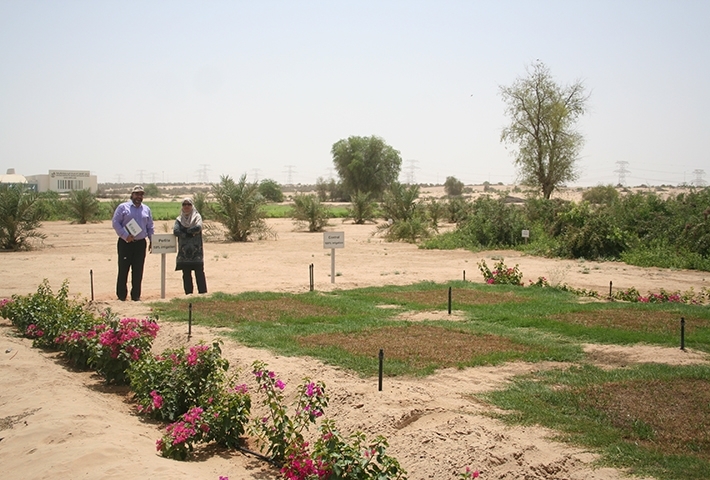 This project aims to achieve water and nutrient use efficiency through soil improvement using Perlite provided by Gulf Perlite to save water for sustainable urban landscape development. 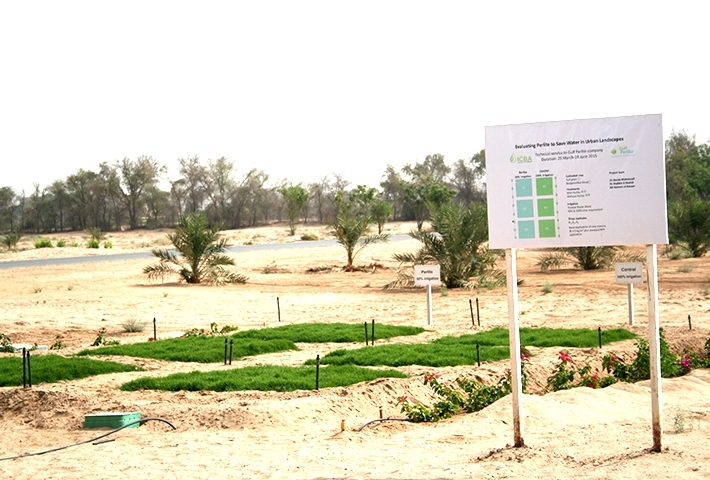 The objective is to assess Agro-pearl in terms of water saving (turf and shrub).